So, what you basically know about me is that I really like dresses. I do. I like them so much that it's just easier to tell you that I have thirty dresses than something more meaningful. I really enjoy reading and learning to use the slow-cooker. One of the most important things to me is music. I'm a voice major, actually, and when I find music that is created rather than recycled, well, it inspires me. This song in particular is an abstract and literal piece of artwork. The opening whispery tones are muted and intended to create a separate atmosphere - a sphere of sound. Then the driving bass/drum combo comes in, the idea of pursuit. 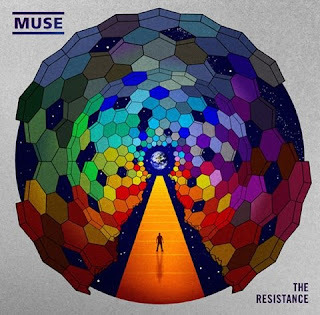 This is the musical representation of the image - the Resistance. It is an entity, and whole. Like clothes, music is more than an organized collection of sound.